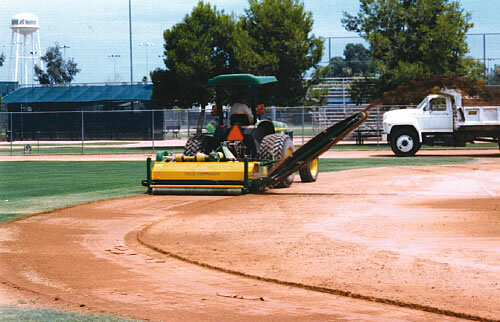 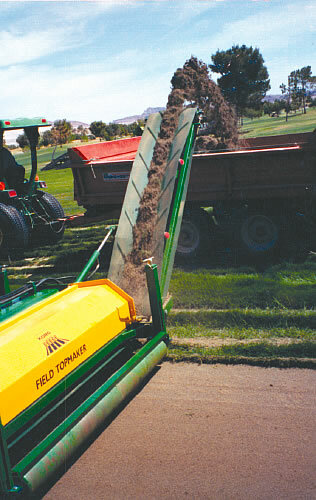 The Field TopMaker can be set to remove the top layer of sod and soil to a depth of 2". This lends itself well to emergency turf repairs for those high profile and professional games that must take place before rooting has a chance to develop. 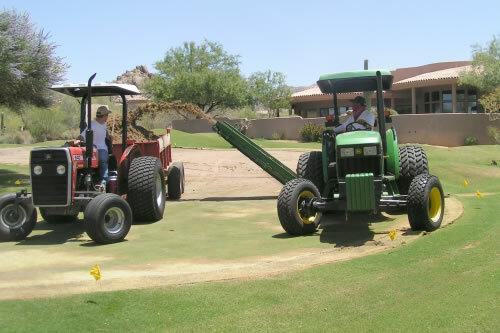 With the FTM set to stip 2" in one pass, we can reinstall 2" thick cut sod that will be stable enough for a 350 pound professional football player to play on the field the next day. 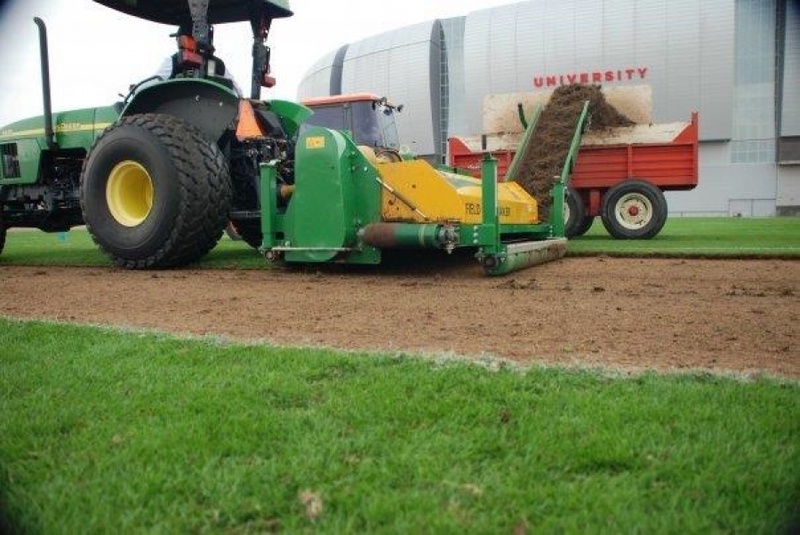 The field doesn't even have to be regraded before installation of the new sod because the machine follows the existing grade precisely.